I admit, I’m not one of those runners who increases their mileage and can eat anything they want. Instead, as soon as I begin to approach 40 miles a week, my body becomes super efficient at using every calorie that comes it’s way. I gained weight when I trained for my first marathon. Did it again when I trained for my second marathon. And, yep, put on a few pounds last spring when I trained for five half marathons in five days. 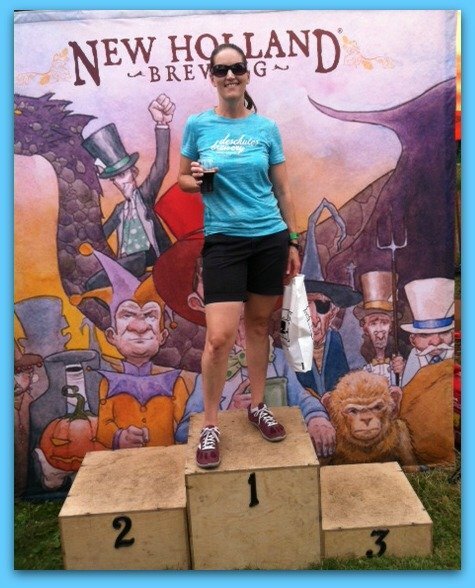 I’ve tried eating more (just put weight on faster), eating less (umm, hangry comes to mind), reducing carbs (hello, exhaustion), increasing carbs… Suffice it to say, I’ve messed around with my eating to try to fuel my runs without outgrowing my jeans. 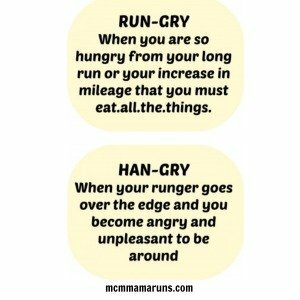 (Because, honestly, it’s not the number on the scale that concerns me, it’s the muffin top…) I’m assuming I’m not the only one, so here are some tips for long distance training without dying from runger, becoming hangry, or outgrowing your jeans. 2. 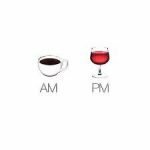 Drink more. And I don’t mean beer. Make sure you are hydrating before, during, and after your runs. Not only will it be harder to snack when you are drinking a lot, but it will also keep you from feeling hungry when you are really just thirsty. My go to’s are fizzy water (I have a Sodastream addiction), watered down nuun, and iced green tea, preferably non-caffienated. 3. Eat more protein and healthy fats. 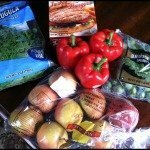 I’ve tried Paleo and I’ve tried lower carb styles of eating. My running is awful when I don’t get enough carbs. (There are some who would say I just haven’t stuck with it long enough, maybe, but I’m certainly not doing that now.) But I have found that eating a higher percentage of protein and some good healthy fats really does help keep the runger under control and decreases the likelihood I’m going to head into hangry. I’m a huge fan of avocados and nuts. I also try to keep some cooked protein in the fridge or freezer for those moments when I absolutely must.eat.now. I carry Simply Snackin’ meat with me in my bag pretty much all the time now. I found last year during the Dust Bowl Series that they were super helpful about 2-3 hours after my post run meal. 4. Move more. I know that seems counterintuitive. I mean, won’t that make you hungrier? Not for me. Adding some cross training helps me combat the lazy runner syndrome as well as keeps my upper body from losing what little muscle I have. I particularly like things like planks, pushups, lunges, etc. as something to occupy me when my brain is hungry but my body doesn’t really need more food. And remember, just because you ran more than 30 miles last week, doesn’t mean you can drink 3 beers, eat several sliders, and have a huge slice of chocolate cake at a birthday party. Oh wait, that was me. Oops. Im no runner but number three changed my life. Carla recently posted…Yoga is an act of bravery. Thank you for the awesome tips! I think #1 and #5 are the ones I need to work on the most. I seemed to have figured out that if I eat something right after a race — like a piece of one of the bagels they usually give out — I can fend off post-race GI issues. It seems counter-intuitive, but maybe having some simple carbs to digest lets my stomach ease into functioning again. Great tips! I think people have this idea that the more miles you run, the more weight comes off but with distance running it just doesn’t work that way! (At least, not for most of us). These are great tips! I too seem to gain weight with long distance running, but I think a big part of that in the past was because I would ignore strength training. I lost muscle so my metabolism seemed to stall as well! It is definitely a trial and error approach to find the right exercise + fuel that works for each person. Ugh. I struggle with the sleep thing the most, I think. I KNOW how important it is but I am such a night owl. It kills me how people think because I log so many miles and train/run a marathon that I can eat eat eat and just lose weight. Nope, guess what!? Girlfriend gained weight during training for my last marathon. Craziness. 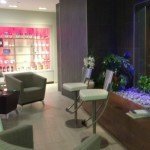 Kimert recently posted…Happy New Year! This is a great post! Very good points there! You have hit on all the major ones! I run 70 miles a week, and I still think I could put on weight as I am hungry every hour! I think eating within that 40 minute window is the most critical part of this as your body will begin to eat itself if you do not fuel up. 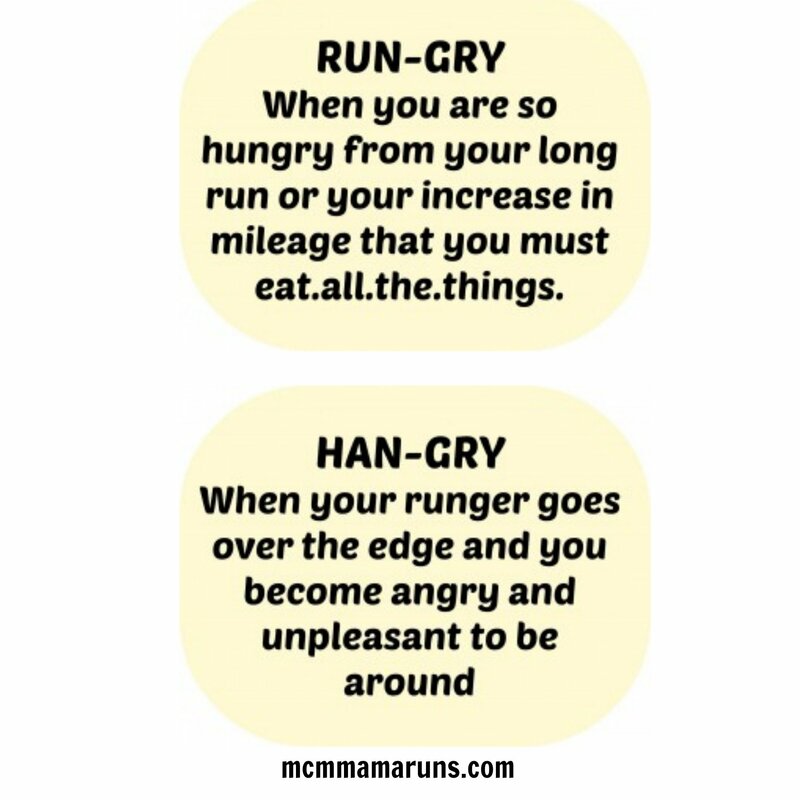 Being hangry is not limited to after runs. I get hangry on a near daily basis. My body totally does not follow the calories in versus calories out equation. It likes to hold on to and then retain more weight like it was going out of style! Thanks for the tips, we will see if they work! I gained a bit training for my marathon last October too and it really felt unfair that I could be running so much yet not be able to eat a lot more. My tip: Avoid the post long run binge. Many running groups, and runners I know (or used to be) go out for a giant “breakfast” of fried things, sugary things, and high calorie drinks after their long runs or races. We all want to celebrate our 20 miler and it’s fun to do because we deserve it…but before you know it, you are celebrating your 5k with the same amount of food…. Also, your big meal after your long run or race is going to set the tone for your recovery. So, while no one every wants to do this, I recommend you postpone your celebratory meal for a day or two when your eyes aren’t bigger than your stomach and you’re body can handle it better. I really need to drink more H2o! I haven’t run a marathon since I’ve gone paleo, but I had to laugh as I gained weight during training for the three fulls I’ve done. I did fuel a 18 mile run with Lara bars and cashews last fall. So I’m no help to you. Oh, did you hear that Meb Kpleasedon’taskmetospellhislastname….that his treat for the WEEK is a mini snickers bar. MINI?!?! When I’m doing really high mileage I eat all the time. I even wake up at night because I’m hungry and need a snack. I find the older I get the less weight I drop from running only and the more I need to look at what I eat. Johann recently posted…Back from a wonderful trip. I’ve been forcing myself to drink more and it really does help. I have issues drinking a ton of plain water all the time so I get the propel zero packets. They make it so much easier. I’ve done better with sleep this week FINALLY. I’m actually waking up before my alarm again. Thanks for stopping by!